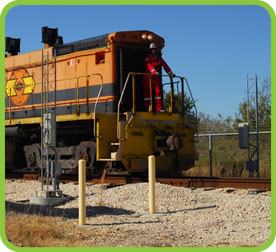 EI System's products have been bringing sophisticated rail yard management to the web for over ten years. We offer industrial-grade products with a bullet-proofed design. Whether your needs include rail yard consultation, custom application development, or support, you can be assured that EI Systems will deliver quality products meeting today's rigorous specifications at an incredible value. Click here to download a company overview.